The incredible collection of high-quality weaponry offered by Ritter Steel can now be yours, thanks to the selection of pieces in this category. The functional weapons made by Ritter Steel are crafted with many age old techniques, including hand forging the blades over hot coals. 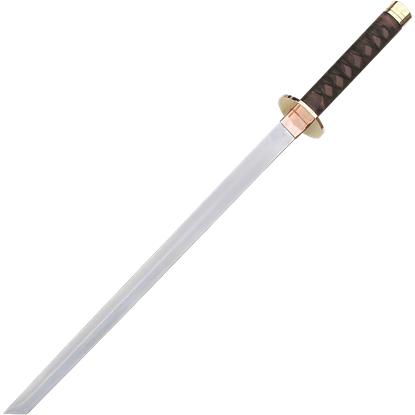 With high carbon steel blades, wooden grips, and steel or brass guards and pommels, the battle ready swords that we offer make great choices for collectibles or tools. 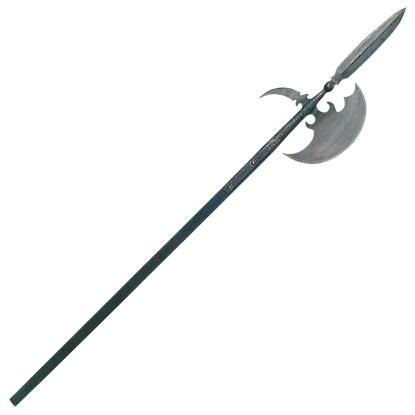 In addition to swords, our inventory includes excellent functional halberds, daggers, spears, and war hammers. These authentic weapons come in styles ranging from Japanese to Viking to Roman to Scottish and beyond. When you want a weapon with excellent utility, the impressive pieces here make an affordable and attractive choice! The Authentics Celtic Spear is handcrafted with a blackened, flared spear head. 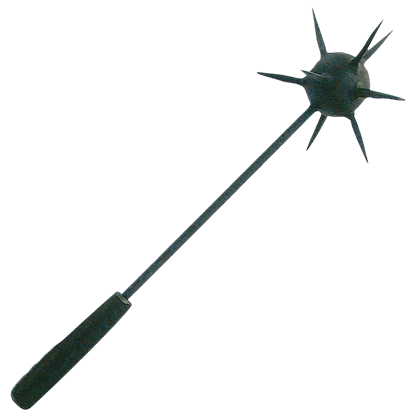 This medieval weapon will command respect against other spears. Wider flared blades were widely used by the Celts for hunting as well as in battle. 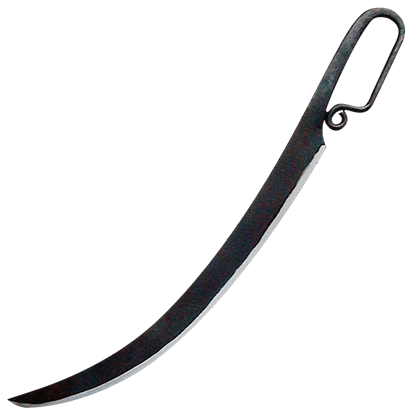 Each Dussack is made from a single piece of steel and is clearly a no frills cutting weapon. Because of its simple and functional design, it was favored by commoners, who needed a weapon that could be used for a variety of purposes. Each Dussack is made from a single piece of steel and is clearly a no frills cutting weapon! 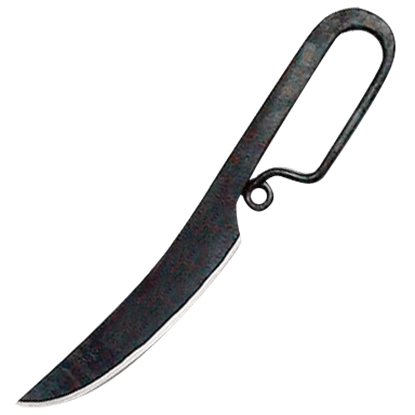 Because of its simple and functional design, it was favored by commoners, who needed a knife that could be used for a variety of purposes. 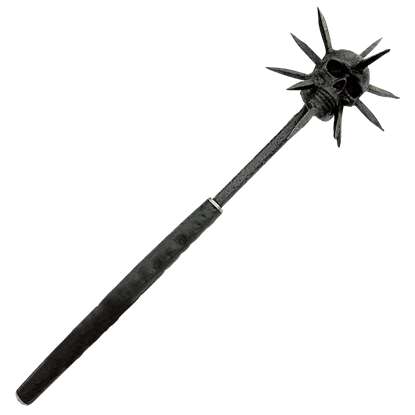 Authentics Halberds are hand-crafted with blackened heads. Each head is secured with hand pounded rivets on a rectangular shaved blackened and seared wood handle. This halberd has a rectangular pole for authenticity. 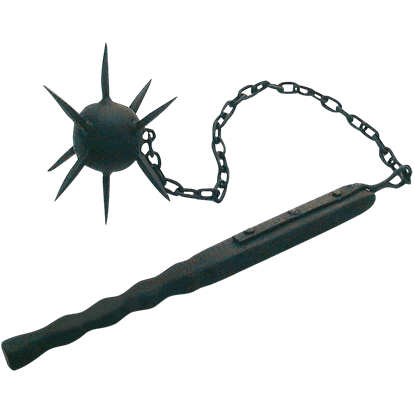 This flail masterpiece features a blackened steel ball with spikes over 2-1/2 inches long, attached to a blackened chain which is linked inside a hand wrought steel bar. The bar of this medieval weapon flail is secured to a wood handle. Authentics Halberd is hand-crafted with a blackened head. It is secured with hand pounded rivets on a rectangular, shaved, blackened, and seared wood handle. 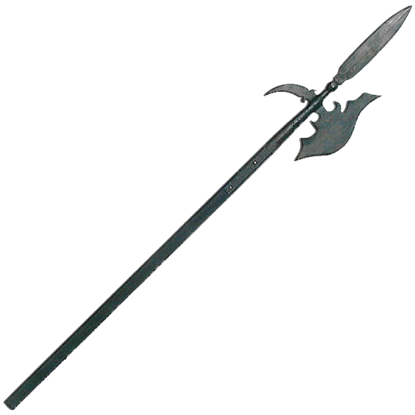 This functional halberd has a rectangular pole for authenticity. This incredible medieval mace belongs in every collection! The hand crafted blackened steel ball embedded with spikes rests atop a hand wrought blackened steel and seared wood handle. Overall length of mace is about 26 inches. Our Skull Flail looks like one you might find in an old dark ages dungeon! 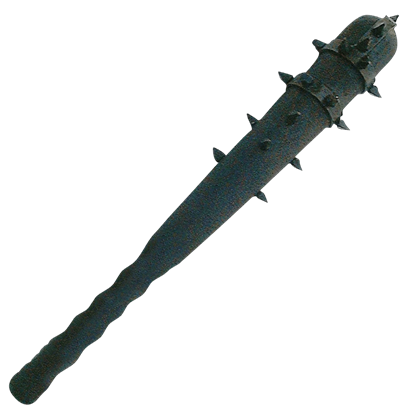 Fully functional, this flail has a blackened steel skull head with spikes. It is attached to the wrought iron bar on the seared wooden handle by a sturdy chain. You must have this incredible medieval skull mace. Steel spikes, 2.5 inches long, rest atop a blackened steel skull attached to a hand pounded heavy blackened steel rod which goes into the blackened hand carved wood handle. Metal shards produced by crude mining techniques were put to effective use by ancient weapon smiths in battle, creating weaponry such as the War Club. 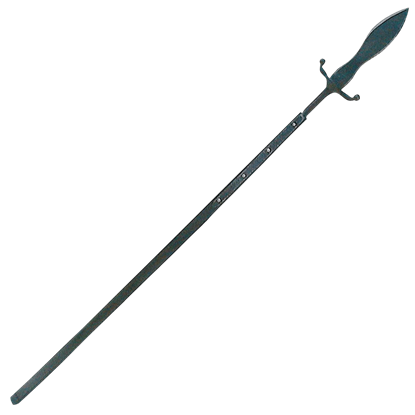 Before swords this weapon had been widely used by ancient cultures during war. 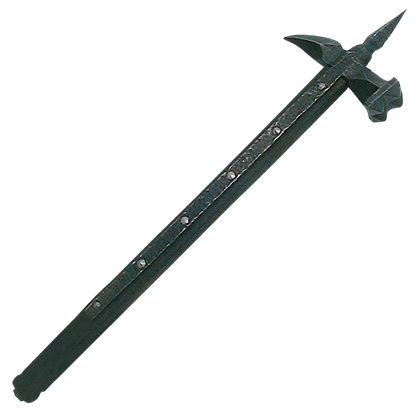 This war hammer is the real thing, with an overall length is about 29 inches. The blackened iron hammer head and spike are hand wrought iron on a blackened and seared wood handle. This hammer is menacing to behold. Exemplifying the style of a ninjato, the Braided Leather Ninja Short Sword features a straight blade with a sharply angled tip and a fabric wrapped handle. This sword is a splendid way to experience Japanese weaponry. Thank you for all your assistance. You do an amazing job at taking care of your customers. Thanks again & have a wonderful weekend!